A pilgrim on Camino de Santiago. Photo by Les Routes Sans Fins / Unsplash. We're so happy to tell you about our new book. Travel Anywhere (and Avoid Being a Tourist) is 200 beautiful pages of our favorite travel recommendations, suggestions, anecdotes, and photos — plus our best tips for how to be a better traveler. It's basically the collective Fathom brain on paper. This excerpt, Six Pilgrimages That Could Change Your Life, is featured in our Wandering for Wellness chapter, which also includes All the Feel-Good Places to go (like Kerala and Santa Fe and Kyoto) and Getting Into Hot Water (at springs and spas around the world). We are really excited about the book — and we can't wait for you to read it. And tell us what you think on Facebook or Instagram or old-school email. 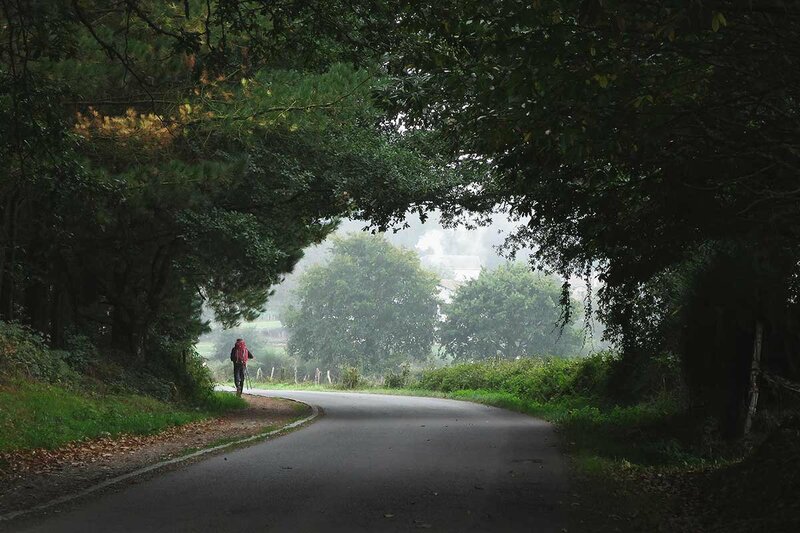 Whether you’re seeking religious answers, reflecting on life, or simply clocking the steps, a lengthy walk in a scenic setting on a time-worn route can be a transformative experience for any modern wayfarer. What’s to love: A series of ancient routes crisscrossing Japan’s densely forested Kii Peninsula, these sacred trails south of Osaka have been used by emperors and samurai since the 10th century. Pit stop: Take a breather at the bright-orange Seigantoji temple with the 436-foot-tall Nachi Falls as your backdrop. What’s to love: Follow the footsteps of one of the world’s smartest civilizations by traversing the majestic Andean landscape to get to the ancient Inca city Machu Picchu. Photo op: Llama photobombing is a real thing here. Be on the lookout for the wonderfully weird-looking creatures – your Instagram followers will repay you with likes. Just watch out for the snacks in your backpack: the llamas aren’t shy, and they love a stolen snack. What’s to love: Pilgrims have traveled the 600-mile (965-kilometer) route through Northern Spain’s countryside for more than a millennium. The journey can take nearly a month to complete, depending on your pace. Road snack: Snack on an anchovy sandwich and cafe con leche at Café Iruña on the Plaza del Castillo (famous for being Hemingway’s hangout during Pamplona’s running of the bulls). 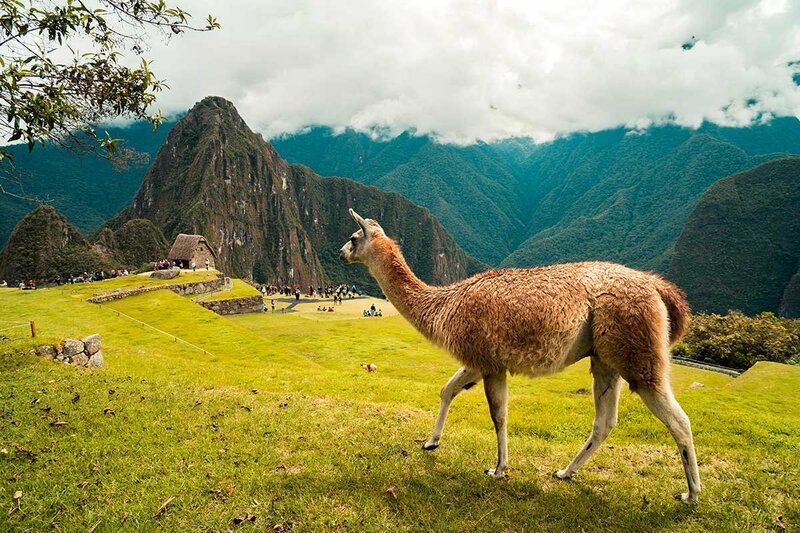 Llama photobombing at Machu Picchu. Photo by Willian Justen de Vasconcellos / Unsplash. 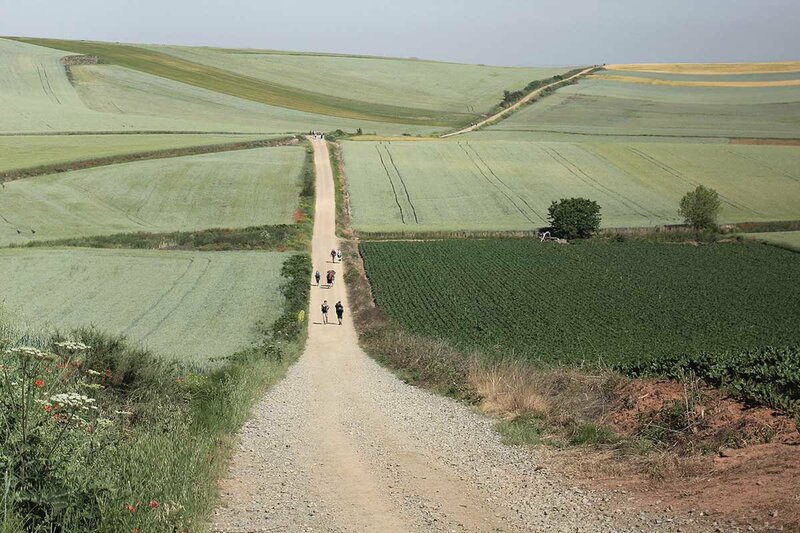 Pilgrims making their way down the Camino de Santiago. Photo by Les Routes Sans Fins / Unsplash. What’s to love: Considered by Buddhists and Hindus to be one of the most sacred places on the planet, the trek around the holiest peak in Tibet is one of the most dangerous and challenging pilgrimages in the world. Divine ritual: Total enlightenment is closer than you think. It’s said that 108 circumambulations of the mountain base is all it takes. What’s to love: Behold Norway’s magnificent expressions of nature – blue fjords, fog-cloaked valleys, moose – before paying your respects at the grave of King Olav at Trondheim’s Nidaros Cathedral. Extra credit: Power through an extra 172 steps to the top of the gothic tower for the best views of the city. What’s to love: Pilgrims take the ancient road connecting Canterbury to Rome, stop at the tomb of Peter the Apostle and maybe carbo-load on pasta. Proof of purchase: A special passport is available to pilgrims interested in gathering stamps along the route. Once in Rome, request a certificate of pilgrimage called a testimonium. Edited excerpt taken from Travel Anywhere (and Avoid Being a Tourist), by Jeralyn Gerba and Pavia Rosati, founders of travel website Fathom, published by Hardie Grant Books, April 2019.